So, what are the benefits of walking? There are many. For one thing, walking, as with other regular forms of exercise, strengthens your heart and lungs. This helps you breathe easier and increases your overall health. With a proper diet and other exercise plans, you can also lose weight and tone your muscles. Walking increases muscle endurance and strength, especially in your lower body. It is good for your bones and prevents osteoporosis and improves blood circulation. Need any more information? This should suffice, right? But, there is more… Walking is a low-impact exercise. So, instead of jogging, you can consider walking and minimize your risk of injury. Furthermore, walking, at a brisk pace, burns up the same number of calories as you do jogging or running. Besides its health advantages, walking is also low in cost. All you need is to invest in a good pair of shoes and some exercise gear, and maybe an umbrella for rainy days, and you are good to go. Walking is not only beneficial physically, but it is also beneficially mentally. Nothing is more relaxing than walking along a beautiful forest trail or along the beach listening to the sound of the waves and the seagulls. These are extremely good stress relievers. Good mental health can also be had by walking with a companion. If you are not an exercise person, walking with a friend will make the time pass faster. You can also consider getting involved in a local walking club. You may find yourself walking for a cause, and feeling proud of your endeavors. Walking as an exercise can be done just about anywhere. Your friendly neighborhood, park or high school track, oceanfront etc. are great places for walking. Keep to safe areas when walking. You don’t want to try new routes just yet. However, after a few weeks, you can try hilly areas that can strengthen your cardiovascular health. You do not have to walk for exercise alone. If you don’t have the time to walk today, just walk to the grocery store for your purchases instead of taking the car. That should be exercise enough for you. Make sure your purchases are not too heavy though! One very important note to all seniors who wish to walk that extra mile, always consult your physician before beginning any exercise program. Walking is a fun way to stay healthy. Why not give it a try today? All these communities provide you various opportunities and facilities to exercise including walking trails. 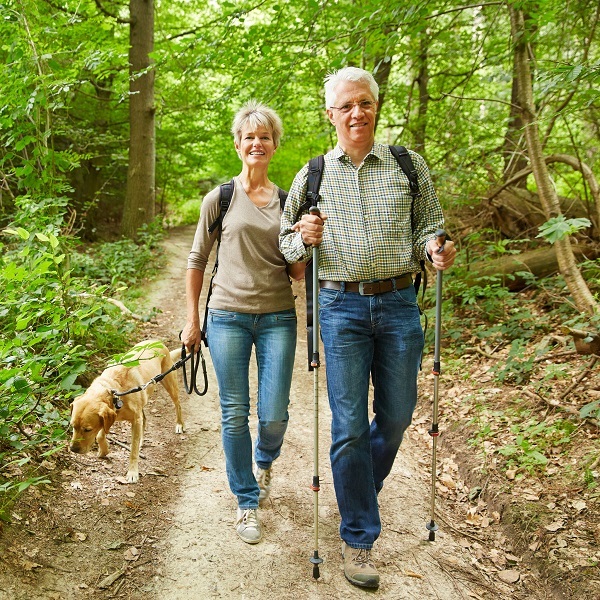 Why not visit our website ActiveAdultLiving.com for more information on more than 8,400 communities? Your life will get healthier and better with a move to an active adult community.